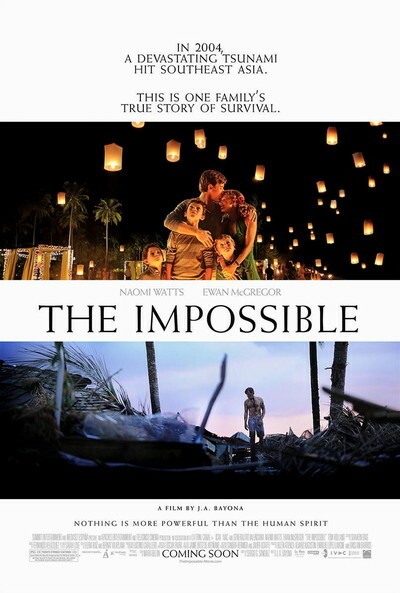 Story: Based on a true story, The Impossible is the unforgettable account of a family caught, with tens of thousands of strangers, in the mayhem of one of the worst natural catastrophes of our time. But the true-life terror is tempered by the unexpected displays of compassion, courage and simple kindness that Maria and her family encounter during the darkest hours of their lives. Both epic and intimate, devastating and uplifting, The Impossible is a journey to the core of the human heart.